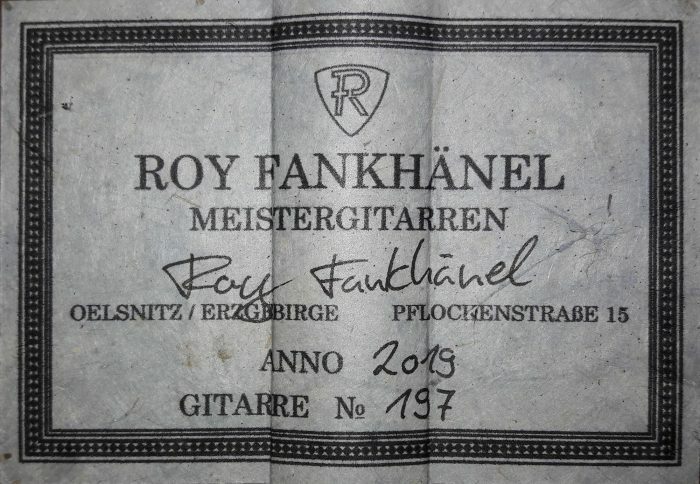 Roy Fankhänel’s runs his workshop in Oelsnitz, Germany, where he builds guitars in the German tradition. 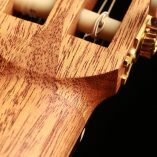 He shows a very high level of craftmanship that can be seen in features such as the V-joint, the details of the rosette, the design of the head and the quality of the construction in general. 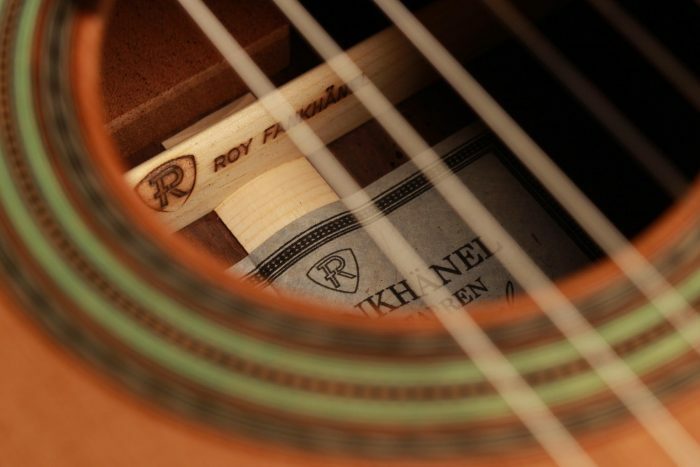 His guitars are powerful instruments with a generous rich sound. 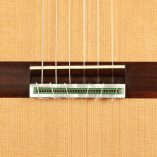 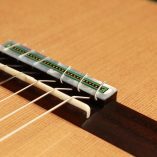 They are very easy to play and feature a slightly radiused elevated fingerboard. 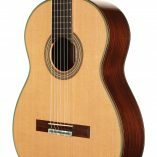 This guitar was inspired by the work of Antonio de Torres and follows the idea of a modern interpretation of the traditional Spanish guitar. 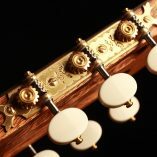 It is therefore an instrument with a fine colourful tone, very sensitive to the stroke and with an expressing and charming timbre. 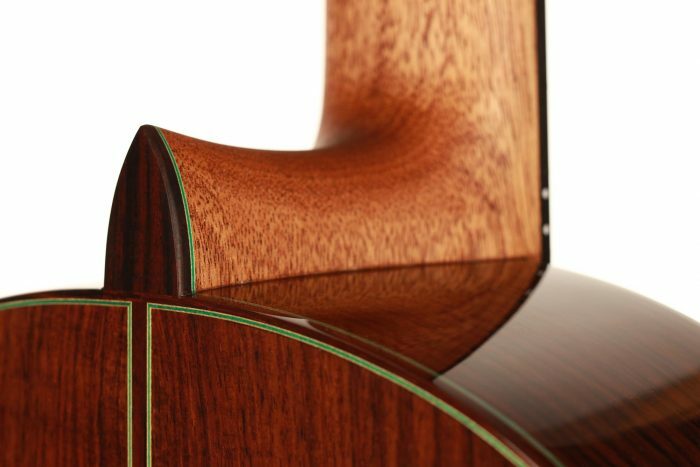 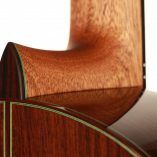 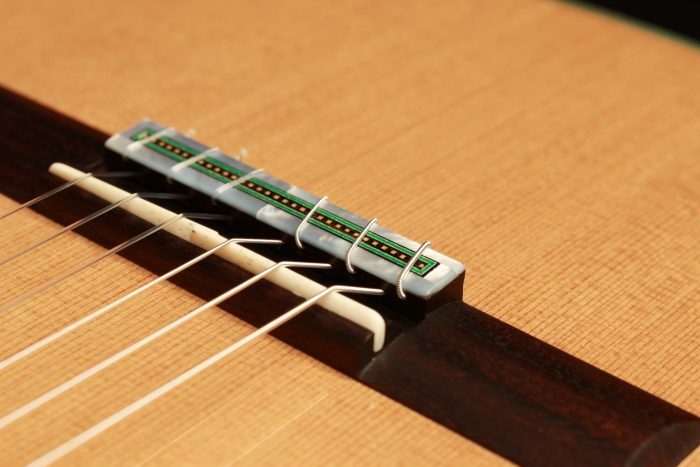 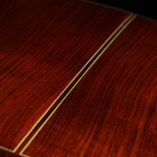 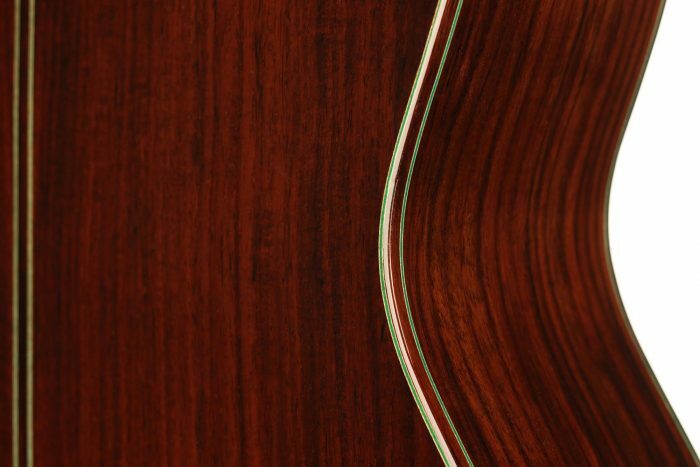 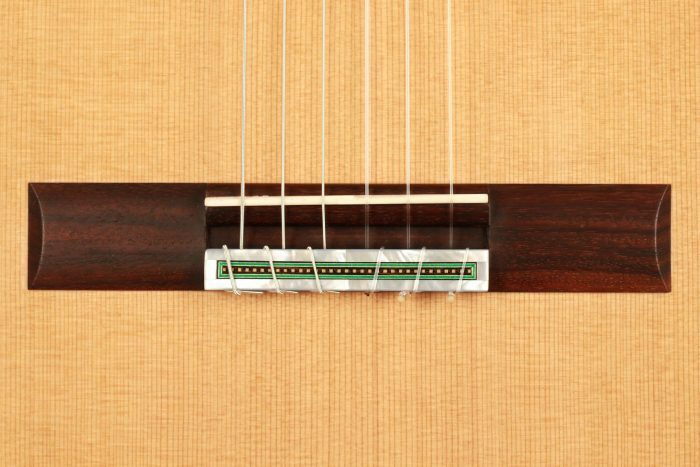 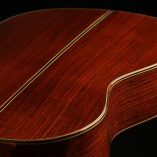 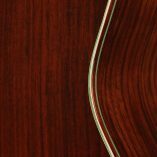 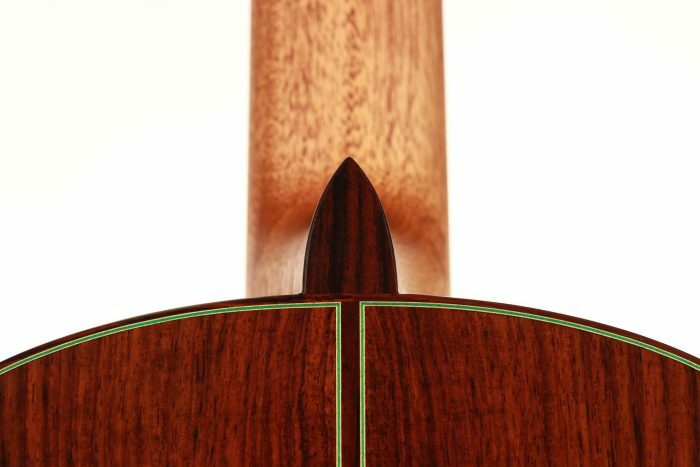 Nevertheless, some details remind us that this guitar is a contemporary concert instrument that can fill concert halls and some elements as the elevated fingerboard and the waxed neck were built in order to optimise the playability. 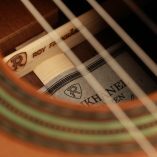 Roy is also known for building custom instruments. 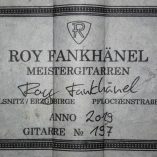 The classical guitarist Heike Matthiesen, for example, plays a guitar by Roy Fankhänel. 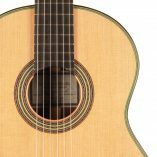 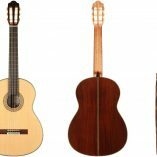 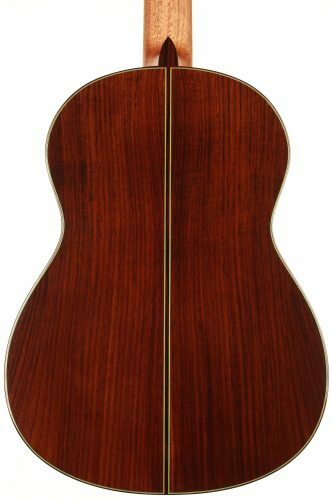 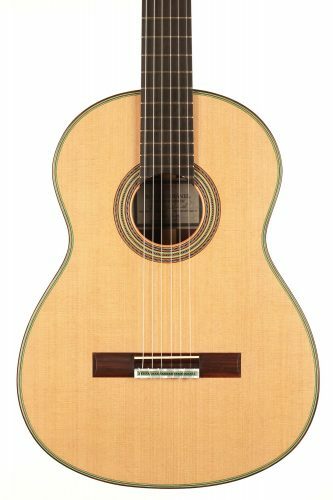 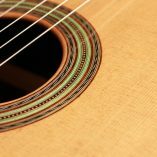 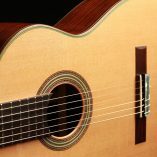 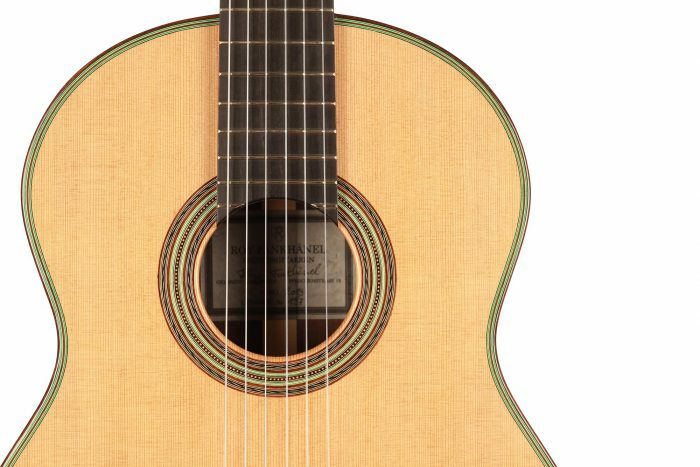 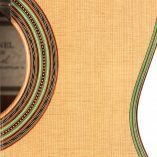 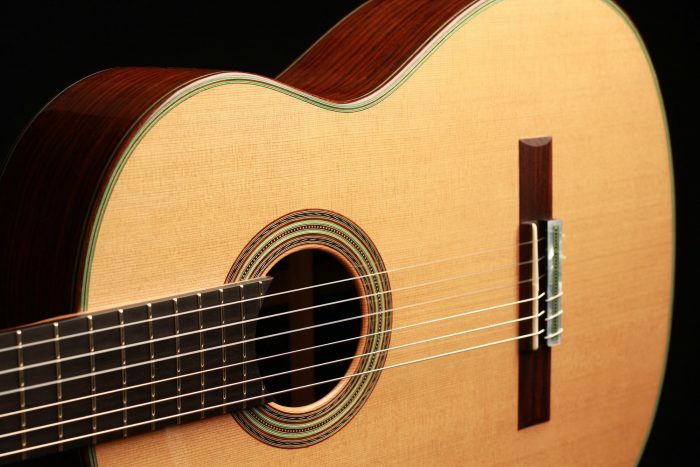 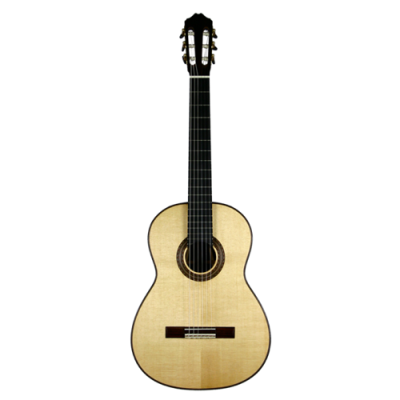 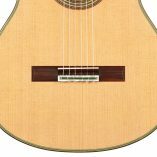 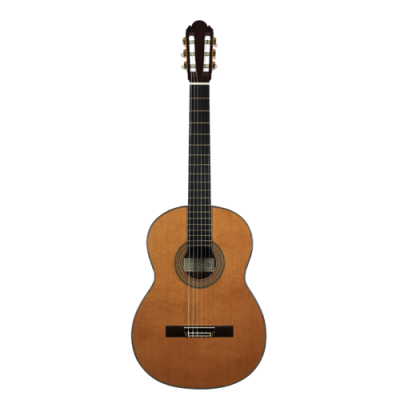 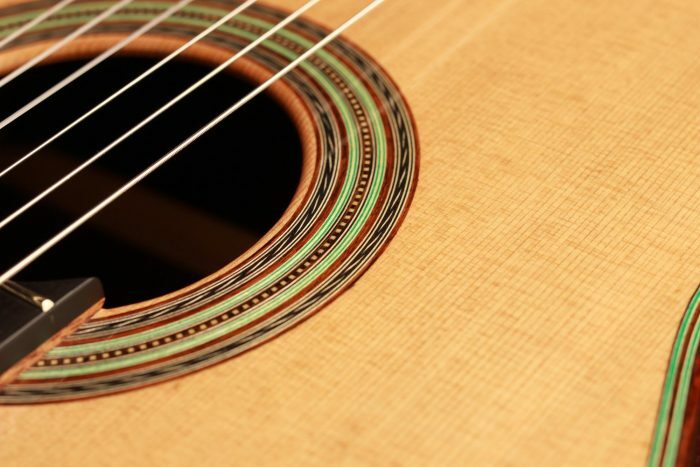 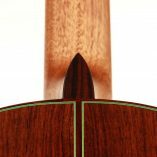 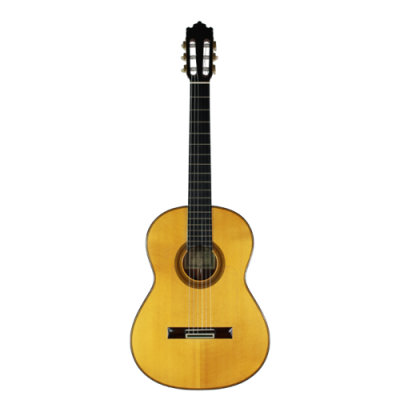 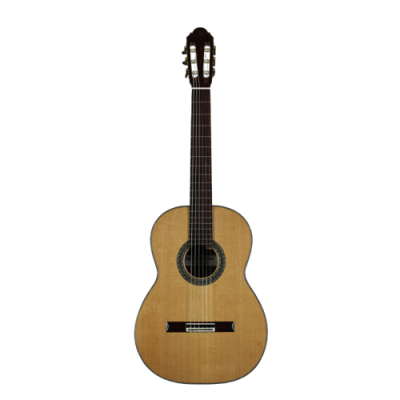 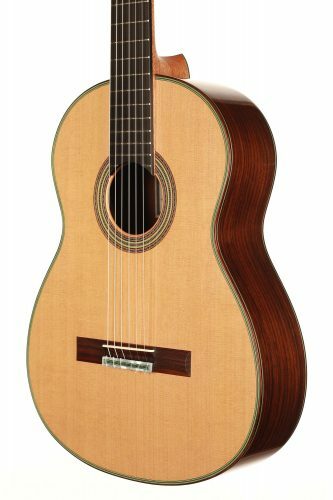 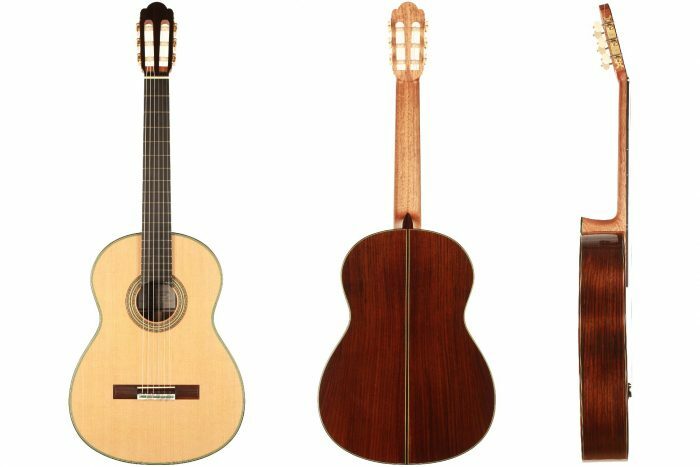 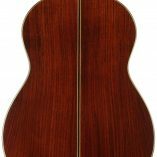 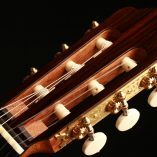 And also outside the classical guitar scene, guitarists such as the left-handed “Kuddel” from the “Toten Hosen” or the guitarist from Max Raabe’s Palastorchester are among his customers. 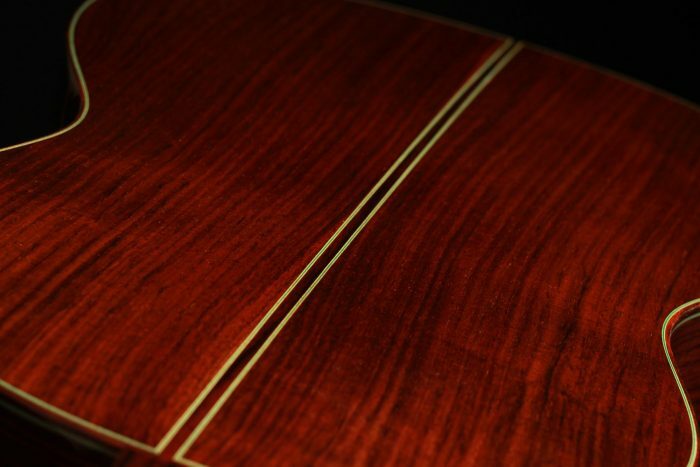 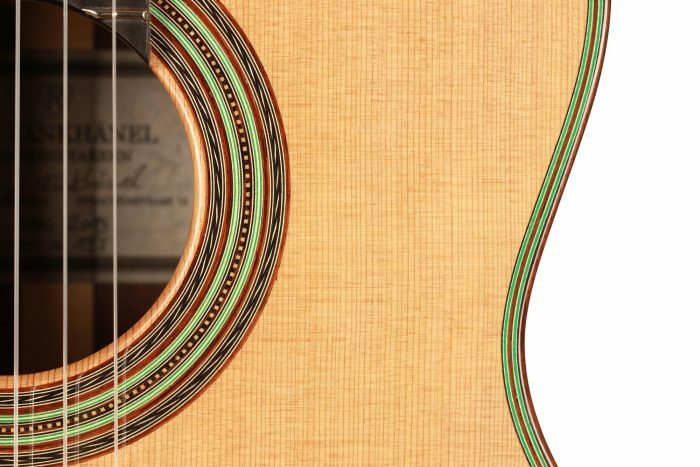 One of the most important details of this guitar is the 64 cm reduced scale length. 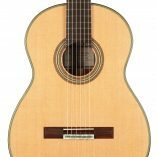 This offers an incomparable playing comfort for the guitarist, making this guitar one of the most enjoyable to play in our store. 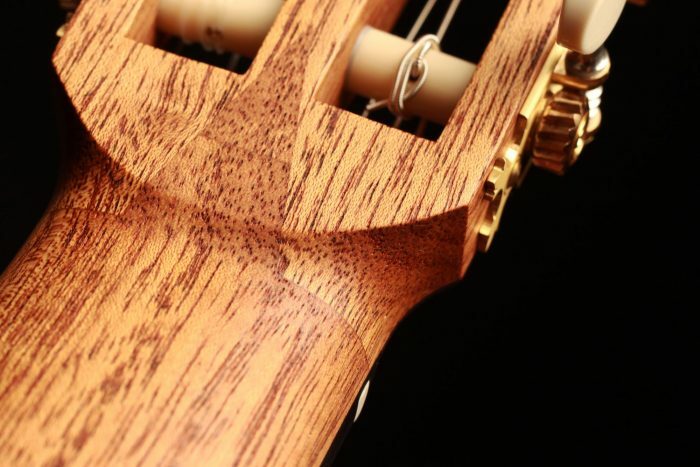 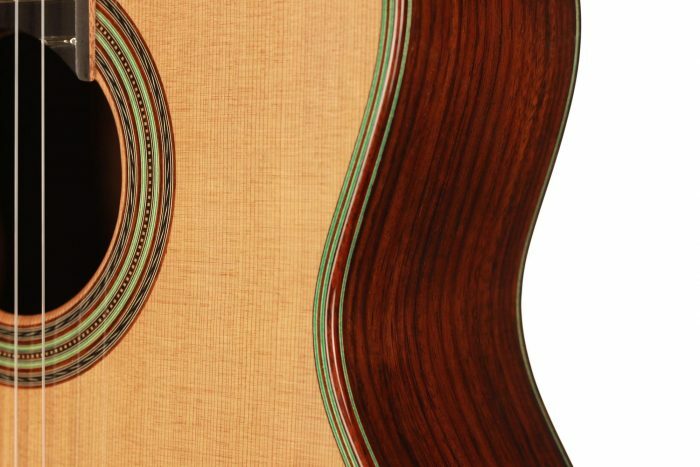 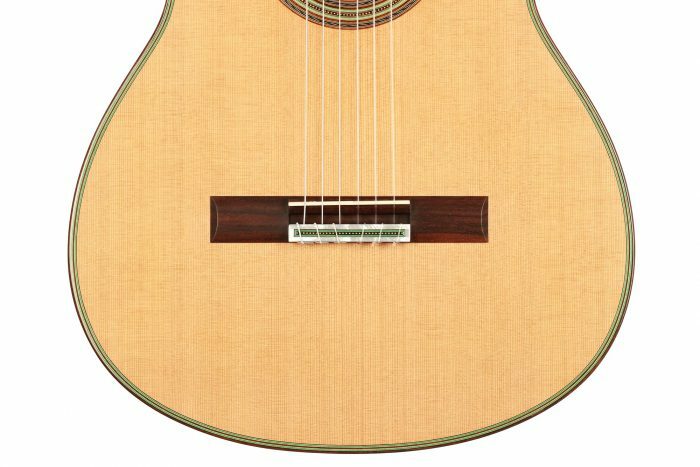 This cedar top instrument has an extraordinary openness. 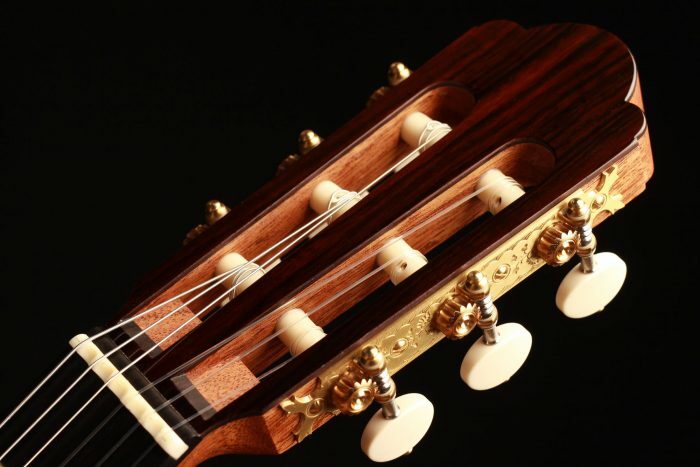 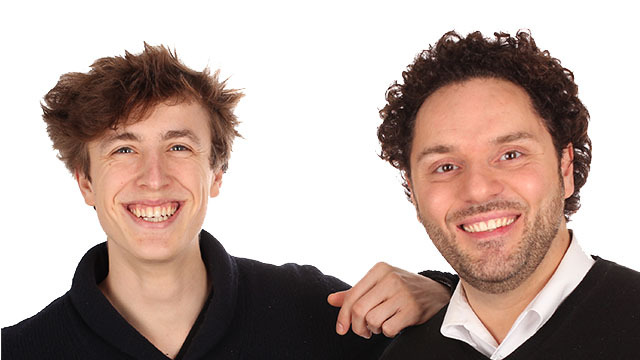 It has generous complex basses, rather reactive with a lot of sustain and intense trebles with abundant overtones. 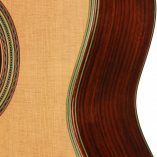 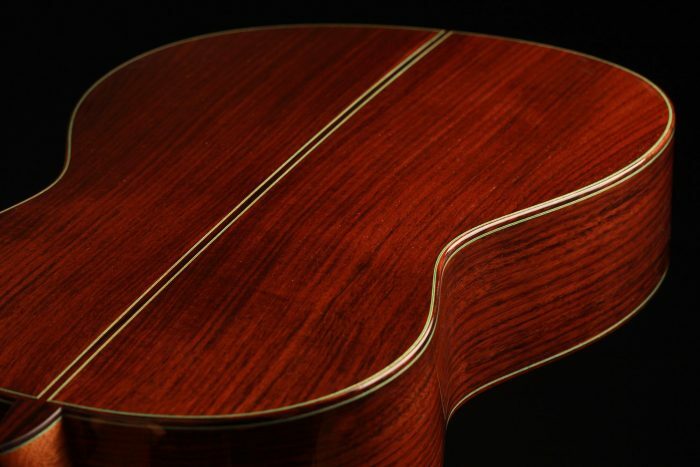 The cedar top also provides real coherence to the sound of this guitar and gives it a warm and full tone texture. 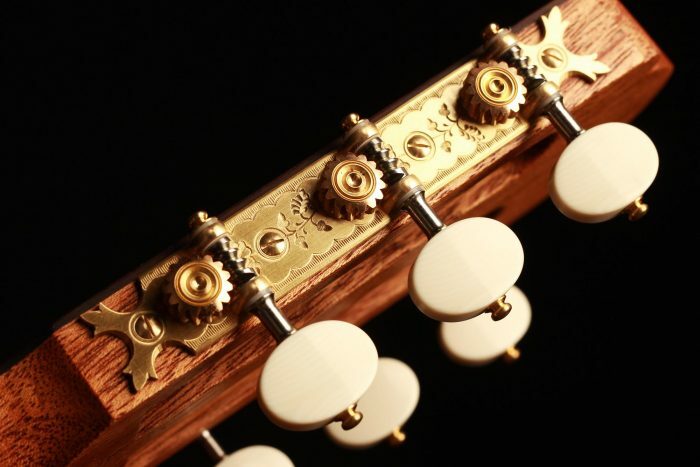 This Fankhänel is fitted with wonderful Alessi tuners, inspired by those of a Manuel Ramirez from 1912.